Fans and collectors of the Pittsburgh Steelers remember Stallworth fondly as a key offensive weapon and target for Terry Bradshaw during the teams dynasty of the 1970's. 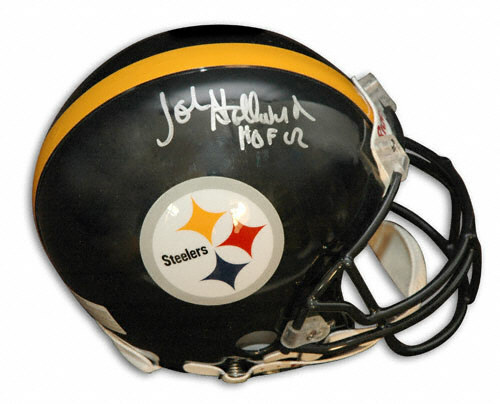 As a result, John Stallworth cards and memorabilia hold a special place in the hearts and collections of fans of Steeler Nation. 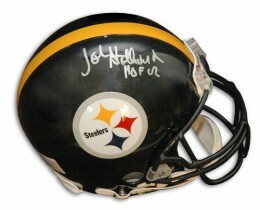 He was part of back-to-back Super Bowl Championships, twice, during his illustrious 12-year career with the Steelers. The 1978 Topps Football set contains John Stallworth's only rookie card. 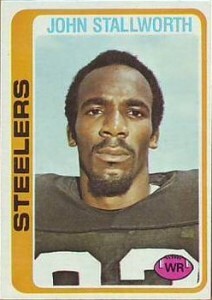 He does, however, have a 1978 Steelers team issued sheet card, depicting him along with several other players. 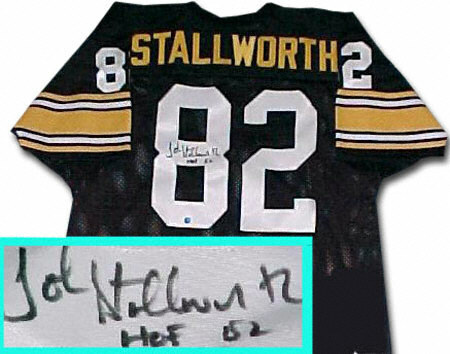 Fittingly enough, Stallworth's first certified autograph card was issued in the 1997 Upper Deck Legends set. The signature is on-card. It is not serial numbered and an exact print run has never been released. John Stallworth's first memorabilia cards are Stadium Stars insert cards from the 2001 Donruss Classics set. He has a memorabilia-only version as well as an autographed memorabilia parallel. The autographed version is limited to 200 total copies, but is not serial numbered. 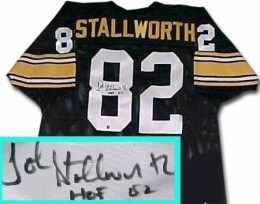 Stallworth's autographed memorabilia continues to be very popular. 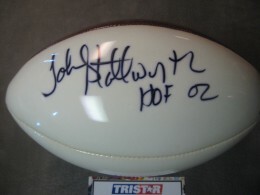 He is also a required signature on any team signed item from the Steelers' dynasty. Stallworth's rookie card is surprisingly affordable for a Hall of Fame player with his career accomplishments. Even professionally graded copies returned in high grade can be found for less than $100. Raw, ungraded copies in similar condition often sell for less than $20. Below you will find examples of what an authentic John Stallworth autograph looks like. This can be used as a first point of reference for determining the legitimacy of autograph memorabilia, but is not a substitute for having your items authenticated by a well-respected professional autograph authentication company. Some of the trusted sources within the sports memorabilia market include the following companies: PSA, JSA, Tristar, and Mounted Memories. Click on any of the images below to view full size photos. It is a legible signature, written in cursive on a horizontal plane that has a slight rise. The letter "J" is larger than the other letters. It is printed and detached from the other letters. The "o" has a defined, circular opening. The letters "h-n" combine to form a single character that looks like an "l" with a tail trailing off to the right. All of the letters in the last name are distinguishable. The "S" and "t" are narrowly spaced. The "l's" are nearly equal in size. The ending letters of "t-h" are another combination that morphs into a single character. John Stallworth, Pgh Steelers, Signed 8 x 10, B & W Photo, JSA Cert.